It is well known that black hairstyles are very hard to manage, the black hair type is so that ends can become frizzy and split and styling such hair is a real ordeal. That is why many of African American women choose braided hairstyles such cornrows, box braids and twists. The others choose natural hairstyles and decide to stay curly and go short. 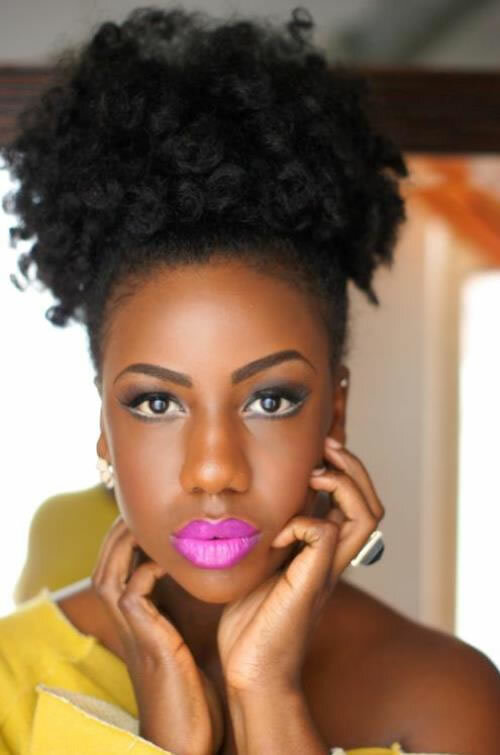 This step is quite daring cause short curly hairstyles for black women need constant care and efforts and means. yet the result can be very cute and flirty. Lets consider some of the best examples of naturally curly hairstyles. 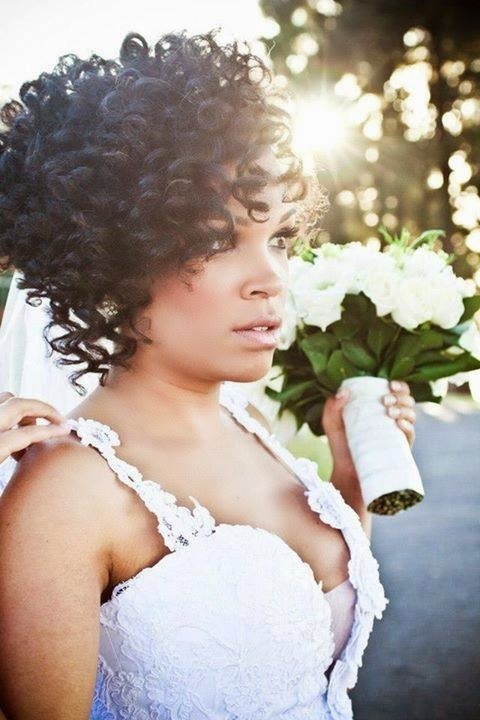 Asymmetrical curly hairstyles with definite edges that accentuate the form are a wonderful decision for black wedding hairstyles. The angelic curls on one side and braided other side will look fantastic. Short black curls can easily get on your nerves and one day you will decide to grow them. Soon you will come to a point that your hair is neither long not already short and how to style it will be your every day question. Look here! This Afro puff is a smartest decision for naturally curly short hair. Short curly hairstyles have a main problem - its puffiness. 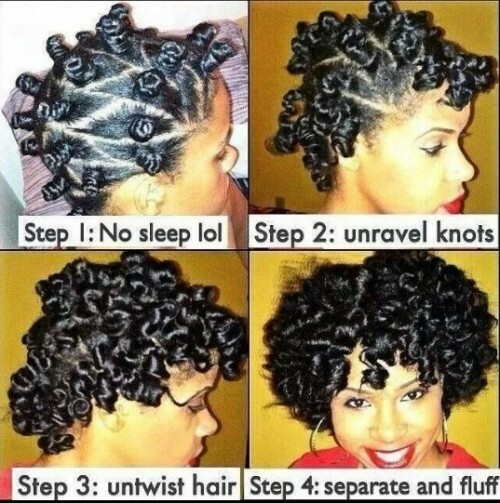 To deal with it you can try bantu knots, the neat ringlets will look simply glamorous and once you untwist them and apply fixating spray and shine serum, you will become the center of attention. With thick short naturally curly hairstyles sometimes it turns out to be incredibly difficult to manage a decent hairstyle cause the curls run to all sides, so be careful to take care of them, always go to hair pro and I am sure you will have a beautiful curly hairstyle like in the picture below. 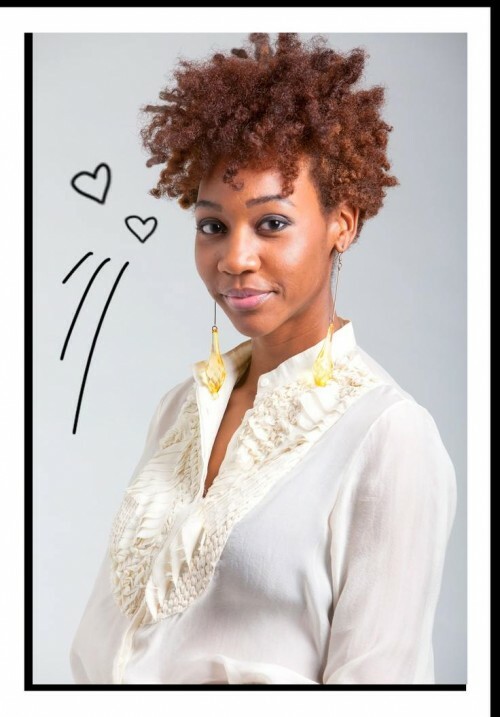 If you curls are bothering you choose such a tapered curly hairstyle, looks very natural daring and still very cute.